Dash GO Rapid Egg Cooker Just $19.99! Down From $30! You are here: Home / Instagram / Dash GO Rapid Egg Cooker Just $19.99! Down From $30! If you want to cook your eggs quick and perfect you’re gonna need this! 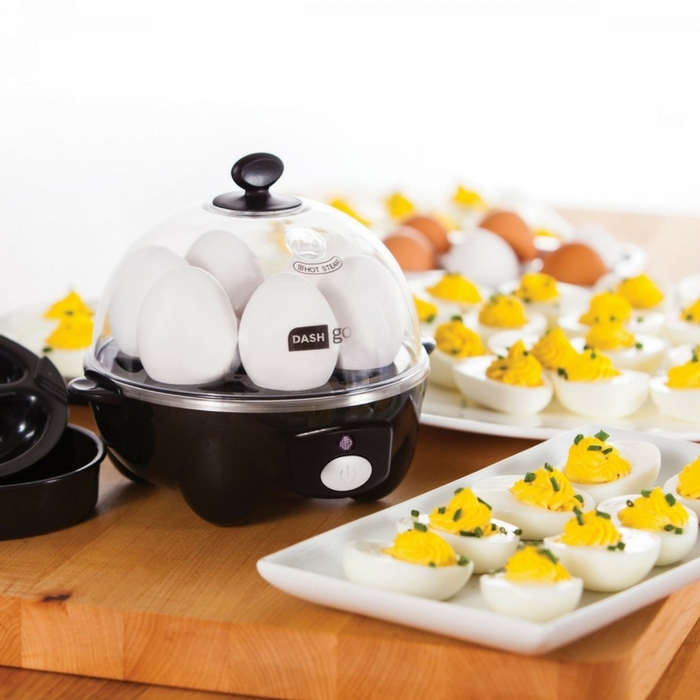 Groupon is currently selling this Dash Go Rapid Egg Cooker for just $19.99 down from $29.99! This egg cooker boils, poaches, and scrambles eggs in 12 minutes or less, streamlining your morning routine to leave more time for yoga or butter churning. Soft-boiled, medium-boiled, and hard-boiled eggs can be prepared in batches of six thanks to a boiling tray. You can also poach up to two eggs simultaneously or prepare scrambled eggs or omelets using a special tray. A bell dings to alert diners when their eggs are ready. Nice!